Detail from figurative window depicting an angel playing a lyre. Restoration and conservation for Holy Trinity Church, Westcott, Surrey. Large refectory window, Old Convent, East Grinstead, restoration and conservation. 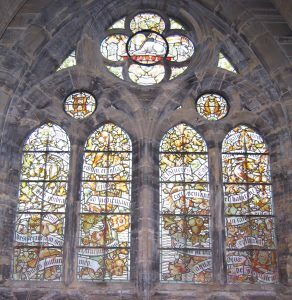 Jonathan Leckie Associates is an *award winning studio, with nearly 30 years of experience in all aspects of architectural, ecclesiastical, domestic and decorative / stained glass. 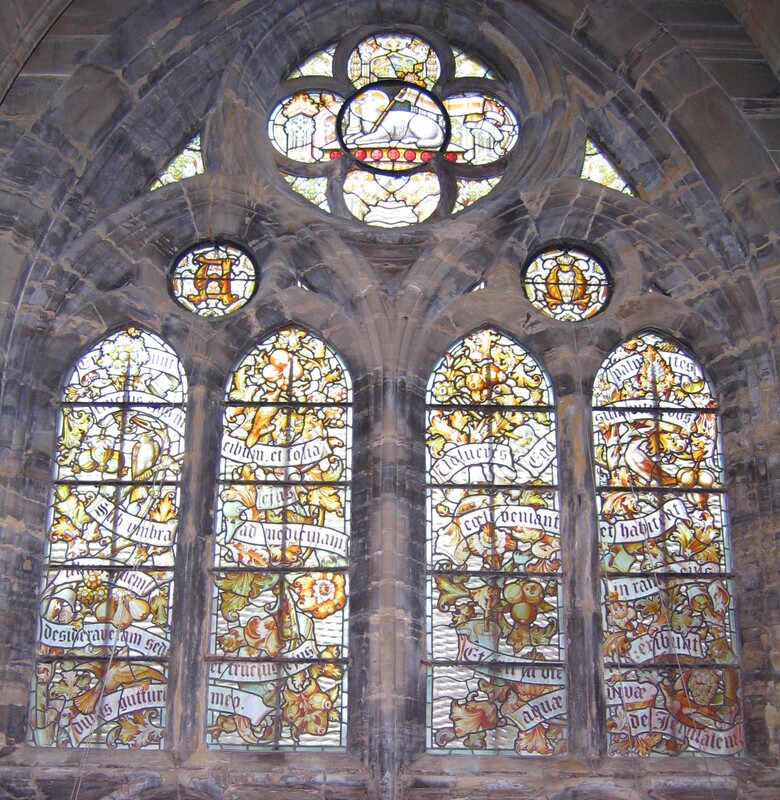 We use well-proven and traditional techniques in producing designs to client specification and restoring existing glass to its original condition. This applies to both church windows and domestic assignments. We place great importance to the individuality of each commission and discuss every aspect of the work as it progresses. In addition, we advise on – and carry out – suitable protection for new or existing glass, utilising metal grilles or polycarbonate materials. Our service includes expert site surveys. We specialise in high quality restoration assignments, which may include detailed painted and stained figurative work, and floral and abstract designs – all handled with sensitivity in conjunction with the benefits of extensive experience. The studio can produce designs in styles relating to the Victorian and Edwardian periods, but we also like to create new work to compliment existing settings and styles. "People are like stained - glass windows. They sparkle and shine when the sun is out, but when the darkness sets in, their true beauty is revealed only if there is a light from within. St Martin and the poor man roundel commission for St Martin’s School, Epsom, Surrey.